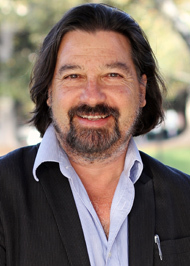 Charles Stanish is a Professor of Anthropology at UCLA and was the Director of the Cotsen Institute from 2001 to 2016. He has worked extensively in Peru, Bolivia, and Chile, conducting archaeological research on the prehistoric societies of the region. His theoretical work focuses on the roles that trade, war, and labor organization play in the evolution of human cooperation and complex societies. His books include Lake Titicaca: Legend, Myth, and Science (2011), Ancient Titicaca: The Evolution of Complex Society in Southern Peru and Northern Bolivia(2003), Ritual and Pilgrimage in the Ancient Andes (with B. Bauer, 2001) and Ancient Andean Political Economy (1992). He also works with a sustainable development group to preserve global cultural heritage through a combination of micro-lending, direct community grants, and tourist infrastructure development. He was a Senior Fellow at Dumbarton Oaks Research Library, is a Fellow of the American Academy of Arts and Sciences and is a member of the National Academy of Sciences of the United States. Elizabeth Arkush, Ph.D. 2005. Colla fortified sites: Warfare and regional power in the Late Prehispanic Titicaca Basin, Peru. Unpublished Ph.D. dissertation, Department of Anthropology, University of California, Los Angeles. Aimée Plourde (co-chair with R. Boyd), Ph.D 2006. Prestige goods and their role in the evolution of social ranking: a costly signaling model with data from the late formative period of the northern Lake Titicaca Basin, Peru.